Four different restaurant, four culinary offers. 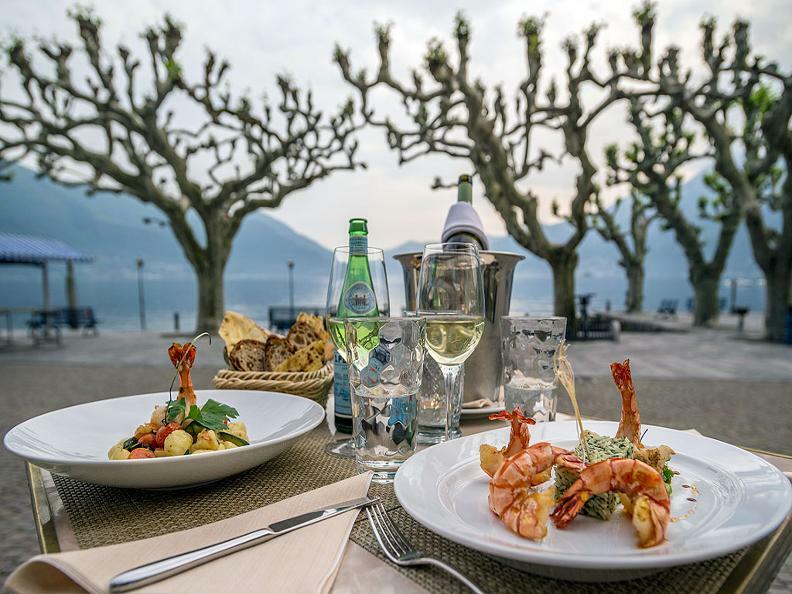 In our restaurants, you can choose between French-inspired classics, Mediterranean delicacies, Italian delights, barbecue specialities and light fish dishes. 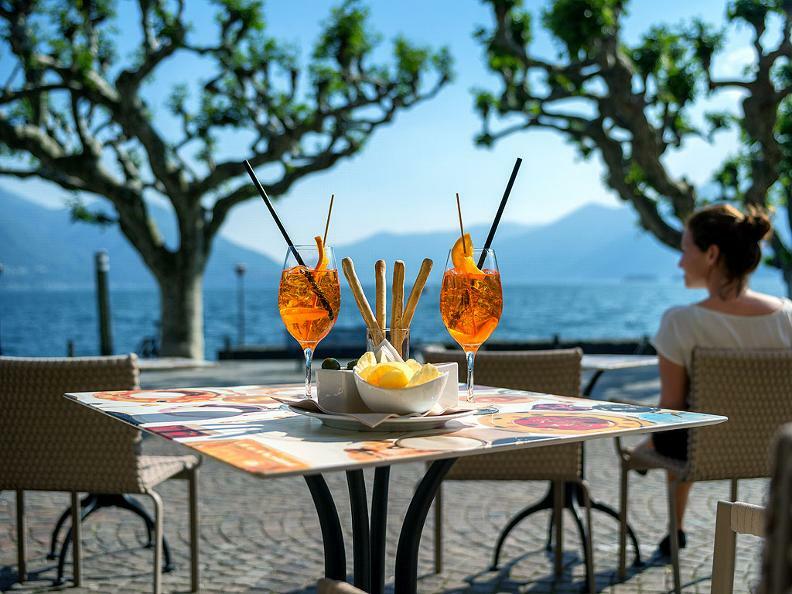 All four restaurants have a stunning sun terraces with direct view onto the Lake Maggiore. Relax, switch off and enjoy! 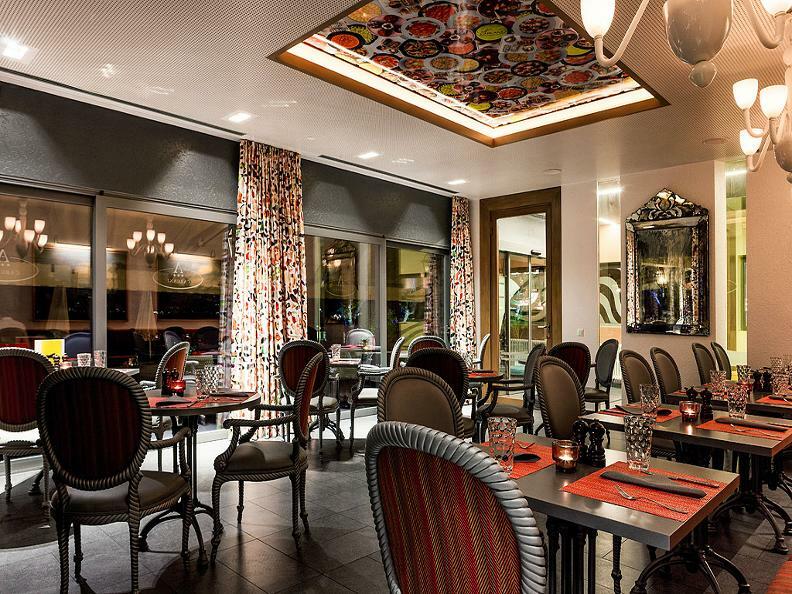 Whether for breakfast, lunch, dinner or an aperitif, we are looking forward to welcoming you. 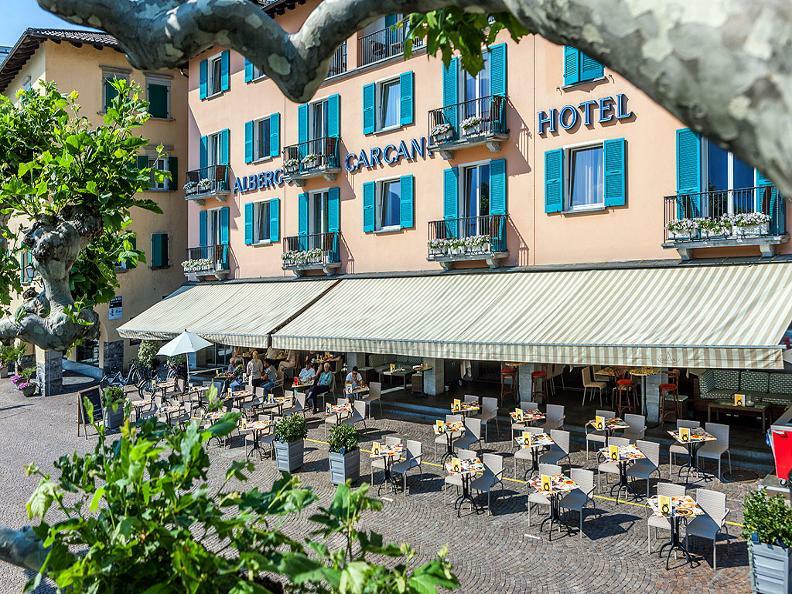 The Ristorante Carcani is the perfect setting to take the lake views and watch the ships sailing in an out while you are enjoying an Aperol Spritz. 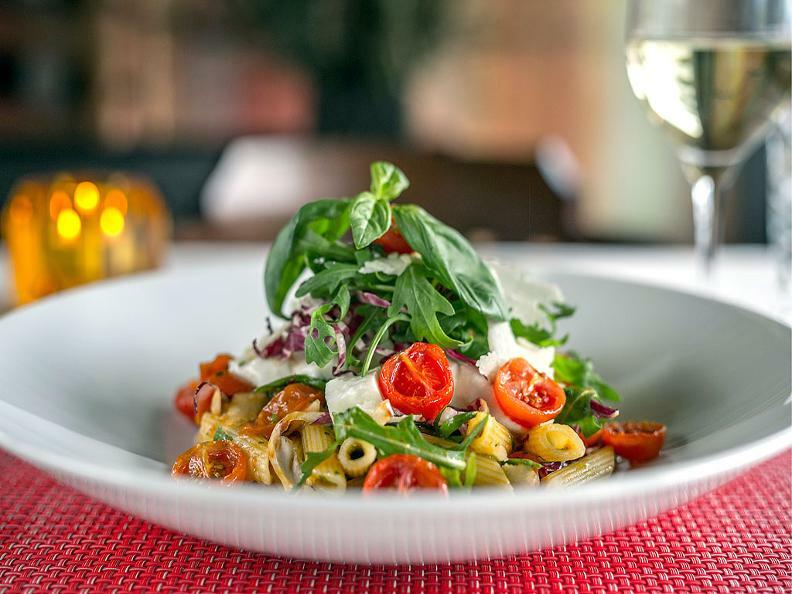 The menu offers delicious Italian food, a wide range of fresh and homemade pasta as well as snacks, salads and Panini. 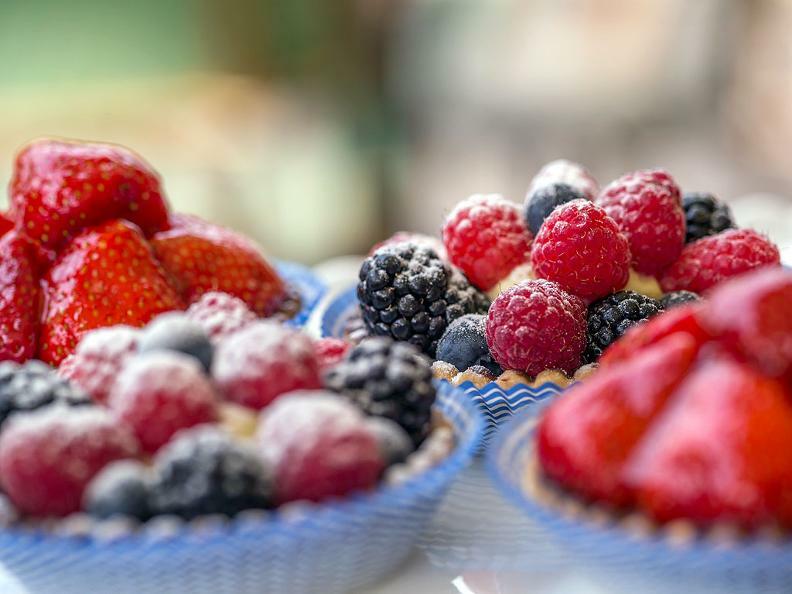 Moreover, there is a tempting choice of cakes and tortes from the Carcani Pasticceria and various selection of Mövenpick ice-creams.